Does Massage Help Infant Eczema? Posted byMei 13 December, 2011 23 May, 2018 1 Comment on Does Massage Help Infant Eczema? Massage is frequently cited as beneficial and recommended in many baby guidebooks. As one of the benefits of massage is reducing stress of the child, and stress is a common eczema trigger, this post explores the benefits of massage and how it can be applied to a child with eczema. Special Guest: Paola Bassanese is the founder, director and lead therapist at Energya Ltd, a massage therapy clinic based in Central London. Paola received ITEC Qualifications in Swedish massage and has won several awards, including the prestigious special award from Italian Chambers of Commerce for representing Trieste, Italy abroad. Paola is also a regular contributor to the Huffington Post and Kingsroad.co.uk. 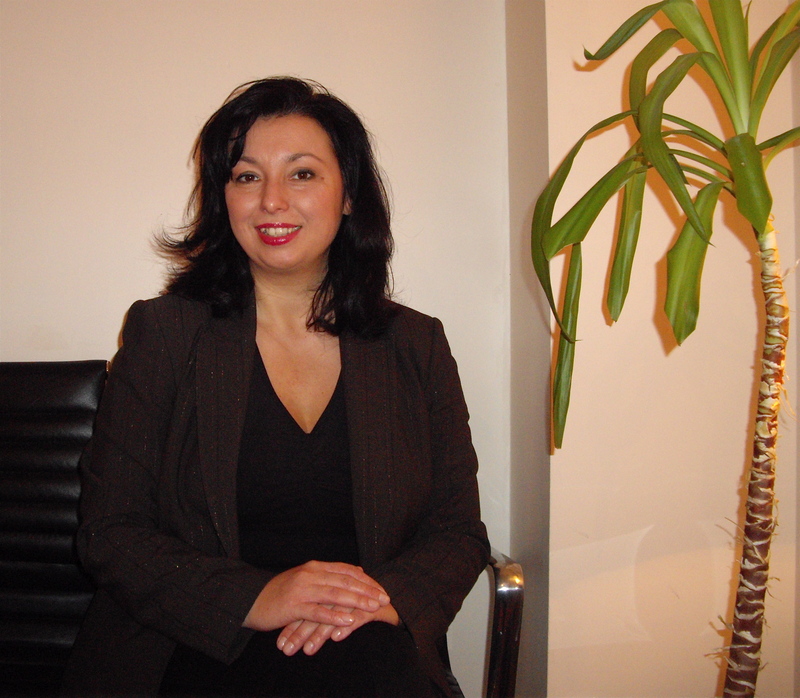 Paola will advise further on massage techniques for eczema children and teenagers. Massage has many benefits, but pertaining to eczema children, there is a research study that shows decreased eczema symptoms in children whose moisturizers are massaged onto the body versus normal application. As stress is a common trigger of eczema, reducing stress through massage may help to relieve an eczema flare. Massage has also been cited to increase bonding with parents, reduce colic and constipation and improve sleep. – Oil is often recommended but given the sensitive nature of eczema skin, it’s best to stick with the moisturizers that you’re already using on your child. – Choose a nice, quiet time and set a cosy atmosphere. Best not to massage after food. Massage after bathing is usually the best time for babies. – Keep the session short, be gentle and cut your nails, remove rings and scratchy material. – For eczema child who is prone to dry skin, avoid rubbing the skin too hard but instead stroke gently downward. – Finally, gauge your baby’s response! If baby is already squirming and upset, don’t add to the stress by forcing a massage. – First of all, go on a massage class you make sure you apply the technique correctly. A mother and baby massage course would be a perfect starting point. – Some oils can be irritating so only use a lotion prescribed by your doctor. Sometimes coconut oil can be used but check for allergies. – Always apply the lighted of pressures working in small semi-circles on the face. Work upwards from the neck, to the jaw, chin, cheeks, eyebrows. The idea is to “pump” the skin slowly and delicately, almost patting the skin cells onto the face. – On the arms and legs, work from the extremities towards the heart: from fingertips to armpits and from toes up to the hips. Here the movements are different and the small circles are only used on the inside of the upper arms and the inside of the inner legs. Forearms and lower legs need a gentle brushing motion, where you “scoop” the skin lightly towards the heart. – Abdominal massage: follow the large intestine doing small circles starting from the bottom right of the abdominal wall going up on a straight line, then going across under the rib cage on a horizontal line, and finally moving downwards on a vertical line. Continue with small circles around the belly button. The pressure must be light to avoid discomfort. – Lymphatic drainage can be particularly beneficial for teenagers as it can rebalance the production of sebum on the face and soothe acne breakouts. You can concentrate on the face and arms only if the young person is feeling self-conscious. Another alternative is to use pressure points so no skin is exposed. Using your thumbs, follow the length of the spine on either side pressing for a few seconds then releasing. During an inflammatory flare-up any type of touch may feel uncomfortable especially if the skin is dry and cracked. In that case avoid broken skin and only light massage the areas that are looking healthier or massage the scalp to provide some relaxation.